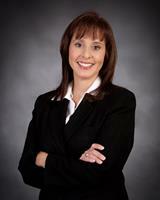 "Norma is very personable and very easy to communicate with during the house selling/buying process. I used her because I was able to see first hand how quickly she sold a friend's property. I would and will use Norma again in the future. I am active duty military and she really impressed me with her structured approach and attention to detail. I will and have recommended her to other. Thanks Norma. You are AWESOME."